TOBI is committed to the continued support of the Texas Children’s Hospital charities. Tournament Results from Day One are in and they are official. What an amazing day of fishing! The TOBI Command Center Team did a great job tallying all the results and the winner of Day One is Alan Stubblefield of Southwestern Energy. Wt. 9.23 lbs. Congratulations Alan. 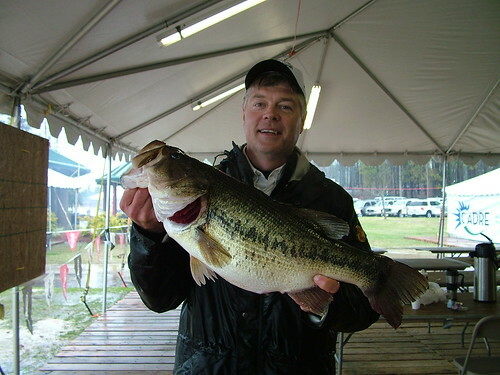 1st Place – Alan Stubblefield and Ray Stubblefield, 9.23 lbs. 2nd Place – Billy Hakes and Bobby Logon, 9.00 lbs. 3rd Place – Andre Ballard, and Robert Green, 8.92 lbs. 4th Place – Shane Tate and Howard Beetz, 8.30 lbs. 5th Place – David Turner and Lyle Harper, 7.08 lbs. Texas Parks and Wildlife Dept.